A dotted comfortable beauty by Cream. 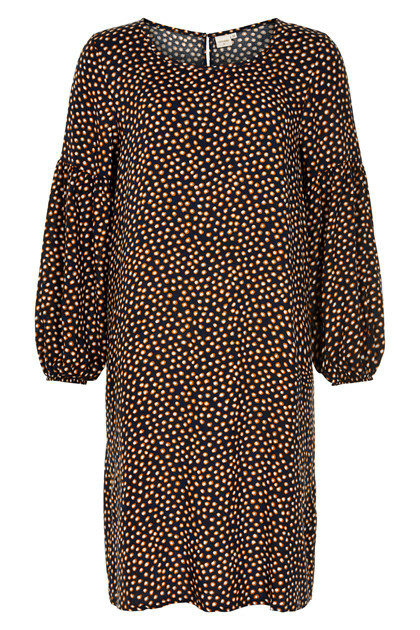 The dress has this super popular dotted print with long sleeves and a round neckline. The quality is very pleasant due its 100% viscose quality. The dress is really nice and can be used for both everyday use and festive occasions. Furthermore, use it with a pair of jeans, when it’s cold outside or when you just wanna have a dress and jeans day at the same time.